We love Roasted Butternut Squash Cubes! I’m sharing a family favorite, plus my tips and step-by-step photos for how to peel and cut butternut squash. 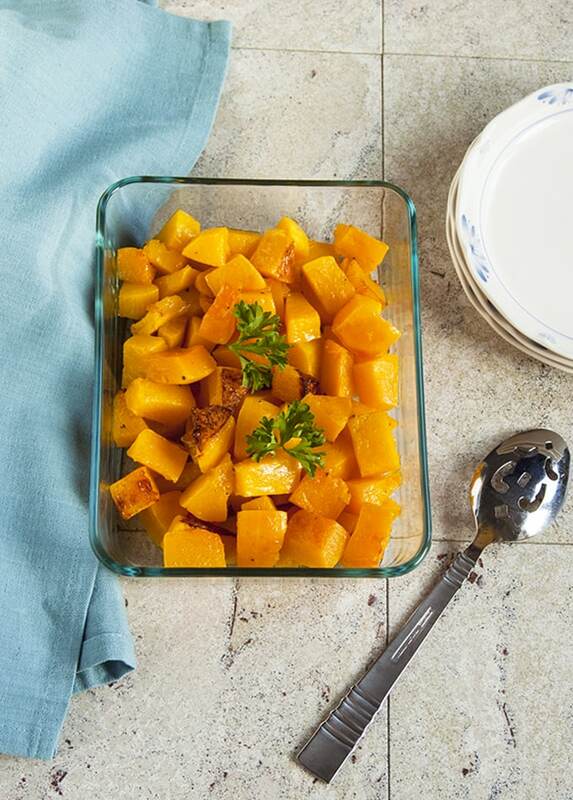 Have you ever tried roasted butternut squash cubes? 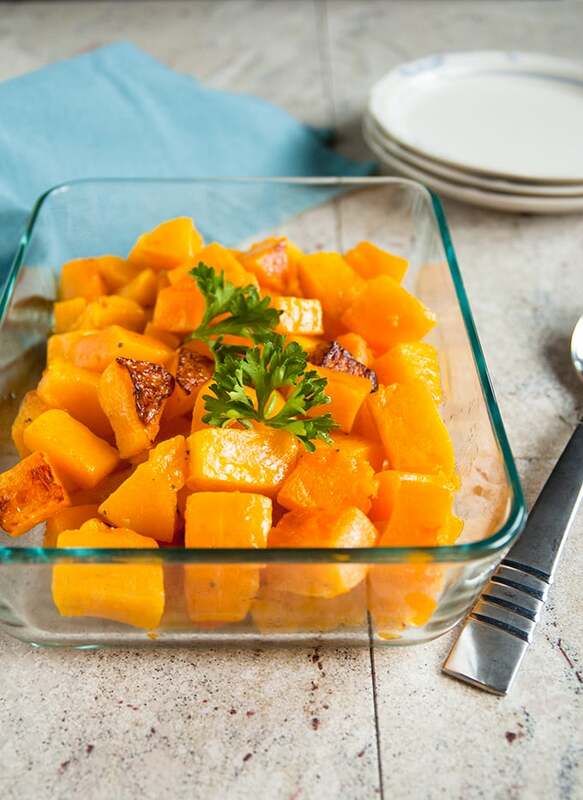 This is one of our favorite side dishes (the kids love it too), so I had to share it with you and hopefully, demystify the process of how to peel and cut butternut squash. I have to thank Ina Garten for introducing me to roasting butternut squash cubes four years ago. (Not in person, of course, but wouldn’t that be cool?) Before, I just assumed butternut squash needed to be cut in half and roasted in a pan of water. But peeling and cutting it into cubes first, then roasting it at 400 degrees F allows for crispy edges and buttery, soft middles. 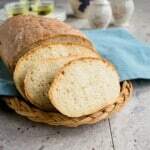 It sweetens the vegetable and brings out the best flavor, especially when using olive oil and mouthwatering seasonings. I’ve adapted Ina’s recipe by reducing the oil and using my favorite Italian seasoning, Seasonello. (I have no affiliation with Seasonello, but that’s my Amazon affiliate link.) I use the herbal salt at least three times a week when cooking veggies, meat or potatoes. It’s a fantastic combination of sea salt, garlic, rosemary, sage and pepper. But, no worries if you don’t have it; you can always use salt and pepper here instead. Heat your whole squash in the microwave for 3-4 minutes on high to soften it first. Peel the butternut squash after you’ve cut off the ends and cut the vegetable in half the short way, so it’s easier to grasp. 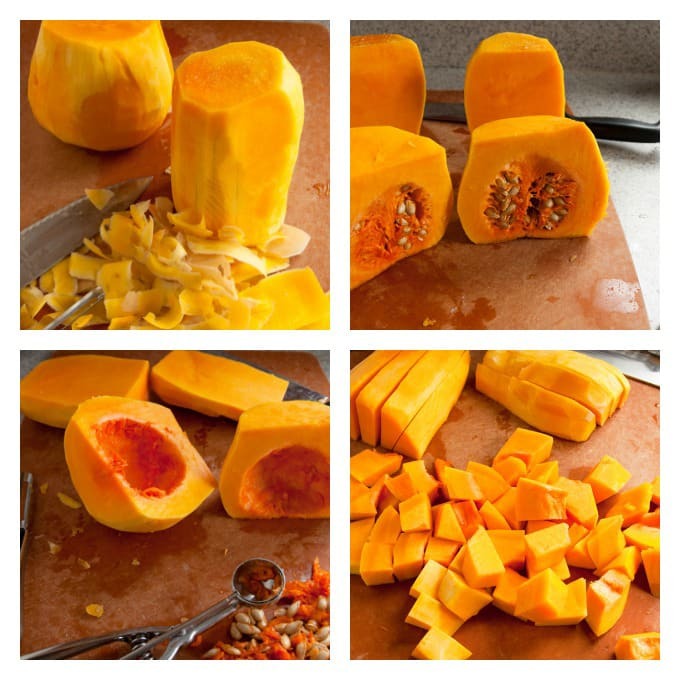 Peel the squash until you see orange flesh; the pale yellow flesh you see at first is tough and needs to be removed. Use a small scoop, if you have one, to clean out the seeds and pulp. It works much better than a spoon or fork. 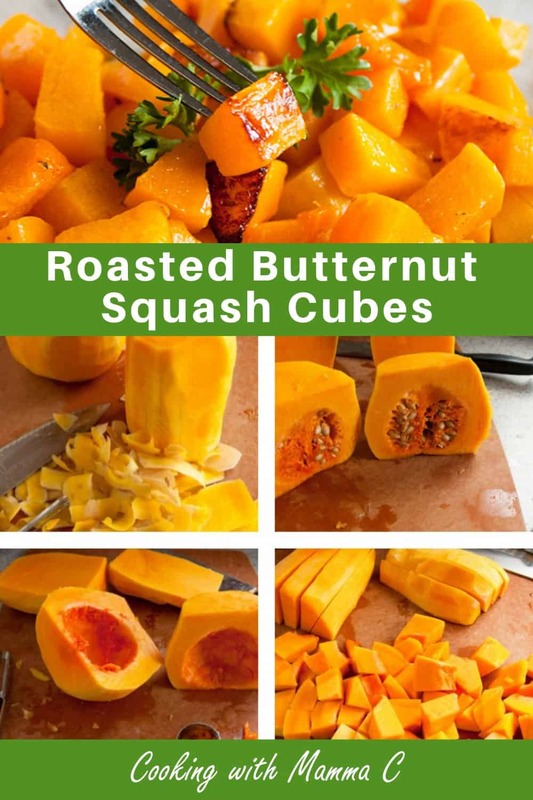 I’ve included more details on cutting the butternut squash into cubes on the recipe card below, and you can refer to the photos above. 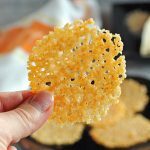 The good news is, it’s easier than cutting spaghetti squash (my most dreaded kitchen task! ), and the results are so worth it. Roasted butternut squash cubes for the win! Enjoy! P.S. If you want to check out other recipes where I’ve used Seasonello, see Seasonello Roasted Potatoes and Homemade Turkey Lunch Meat. A delicious family favorite that's vegan and gluten free. Heat your oven to 400 degrees F. Rinse your butternut squash and pat it dry. Discard the ends and cut the squash in half the short way. Use a vegetable peeler to remove the skin from the squash halves, peeling until you see orange flesh. (The pale yellow flesh you see first is tough and needs to be removed.) Discard your peels. Use a small scoop (if you have one) or a spoon to scrape out the seeds and pulp. Discard the seeds and pulp. 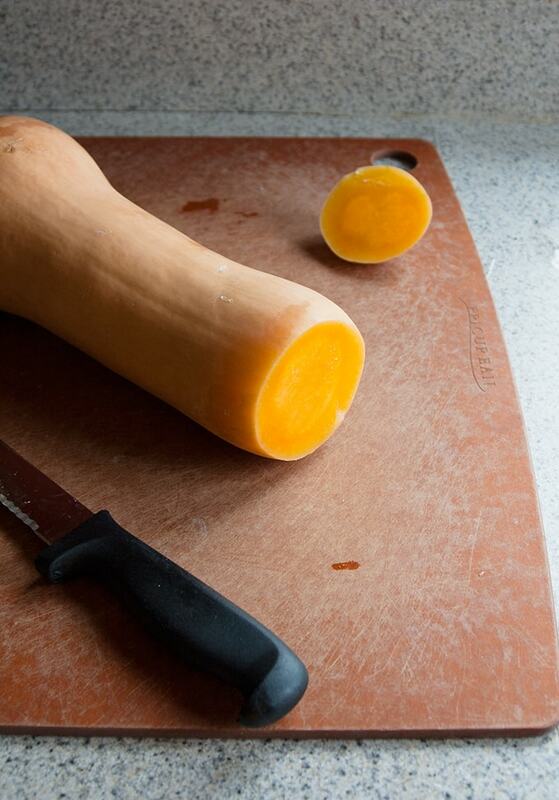 To cut your squash into cubes, first cut the squash into long strips about 1 1/2 inches wide. Cut those logs into cubes as shown in the photos. 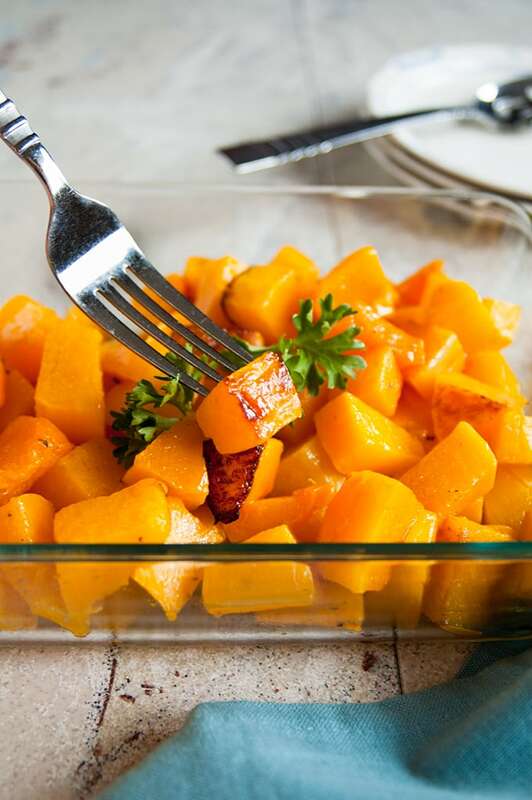 Place your butternut squash cubes in a single layer on a rimmed baking sheet. Top them as evenly as you can with the olive oil and seasoning. Use your clean hands (or a large spoon) to toss and mix the vegetables. Wash your hands, if needed, and bake the butternut squash for 30 minutes, stopping at the halfway point to flip the squash over with a metal spatula. The squash should be soft, with some crisp edges. 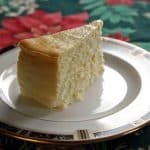 You can taste it to see if you want to bake it a little longer. If your squash weighs less than 2 1/2 pounds, you should use less Seasonello. If you don't have a kitchen scale, you can weigh the butternut squash at the store. If you don't have Seasonello, you can use salt and pepper to taste. I am going to be roasting other vegetables at the same time and will be roasting at 375 degrees, how long should the squash be cooked for? I haven’t tried them at 375, Mary Ann. I would add at least 10 minutes to the total time, bringing it to 40 minutes, and check on them. They might need a bit longer. 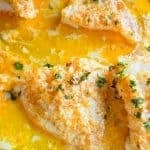 I was looking for a recipe to try butternut squash! 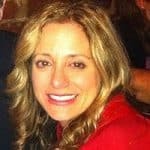 Your recipe seems easy and delicious, Andrea! Sometimes, the simplest things are the best. I hope you enjoy this, Agness! 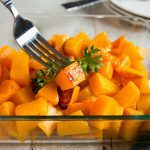 Butternut squash is one of my favorite veggies! Thankfully my hubby likes to peel them! I can’t wait to try this! You lucked out, Elaine! It’s easy after that part. I hope you enjoy this. Butternut squash is one of my favorite things on EARTH. I’m always looking for new and different ways to serve it. This looks de-LISH! You have to try this, Michelle! It’s my favorite way to enjoy butternut squash. Perfect side dish!! I love butternut squash! You’re welcome, Stephanie. The microwave step helps! I bought mine about peeled and cubed at Costco, so worth it. I really need to do this– I have a butternut squash on my counter that needs used ASAP!!! Go for it, Sarah! It’s so delicious.